The German Football League (GFL) is one of the largest American football leagues in Europe. The top four teams from both divisions will take part in the first and second round of the playoffs this month in the hopes of making it to the GFL Super Bowl. 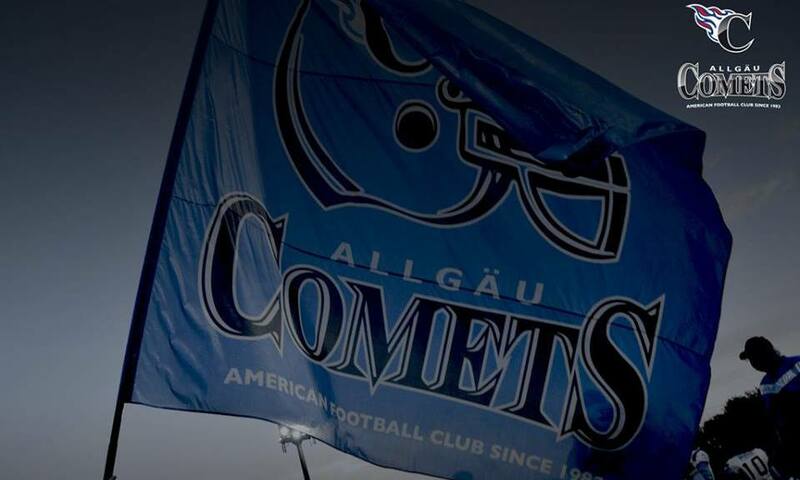 One team that is making its debut as a favorite in the playoffs is the Allgäu Comets. In 1982, then the Kempten Comets were formed by a handful of enthusiastic athletes that met twice a week. In the Comets’ early stages, GI’s stationed at the American barracks in Memmingen and Augsburg, helped fill in for the team. The Comets played in Germany's top football league, the American Football Bundesliga, now the German Football League, from 1985 to 1994. From 1995 to 2007, the club experienced some up and down seasons. In 2007 the Comets turned things around and went on a run, leading to winning the Southern Division of the GFL 2nd league in 2012 & 2013. The Comets, Kempten, and Germany have created a special place for American football amongst athletes and fans. The sport of football has gown tremendously over the years, and has developed special memories amongst those in the Comets’ organization. “The best thing about being apart of the Comets is that it’s a family, a brotherhood, we have so much love and respect for one another with in our team that playing in the blue and black is a special feeling. As for the community of Kempten, wow, they have unconditional never-ending support for our team; we have the best fans in Southern Germany!” – Caler. “What I enjoy most about the organization & the town is the relationships I’ve built with some of the guys here. I have really gained brothers here in this city and the support for the team as well is really something that has kept me coming back.” – Barrier. “I'm enjoying the family flair! Everybody helps one another, doesn't matter what. We stay together if we win or lose. I love Kempten; I was born here and grew up here. Kempten is not too big and not too small for a city. You can be in the middle of Kempten and a couple minutes later you can be at a quiet place and enjoy your life.” – Hafels. As a former player for the Comets, I understand the relationships formed and expectations the players have for each other. Myself and the other imports I played with were brought into the Comets family, and we still feel apart of the family to this day! Kempten is a very special place that cares for their beloved Comets. The team cares for their domestic players and wants to see them grow. The organization brings educated, veteran American imports that will develop football even farther with the Comets. Memories are formed here that can never be forgotten. “My special memories here are several conversations I have had with teammates, speaking life into our relationships and just really showing me who they are as men, and also moments when teammates have asked me to pray with them or have bible studies with them. These kinds of things show me that people pay attention to what you do more than what you say, &and I feel like God is leading us in the right direction." – Barrier. The Comets have made it through the first round of playoffs, defeating the Kiel Baltic hurricanes by a score of 39-27 in front of a sell out crowd. The Comets will continue their run at history as they prepare to face the reigning champs, Braunschweig New Yorker Lions. The Lions will host the Comets in a semifinal match-up this Saturday 26.